Born in Naples in 1991, Camilla De Rosa grew up next to sea, learning how to love and respect it by practicing sailing for almost 12 years. This passion, together with a pragmatic attitude, convinced her to attend Naval Architecture and Marine Engineering studies at University of Naples Federico II, where she took both Bachelor’s and Master’s Degree with honours. 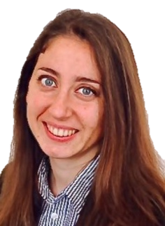 Camilla started her job experience in Tirrenia – Compagnia Italiana di Navigazione in 2014, where she worked in Energy Efficiency and Bunker monitoring department until she moved to Trieste, joining Wartsila Italia S.p.A. in May 2015. Here, she is continuously increasing her knowledge on large bore 4-stroke engines and portfolio management in a broad multi-cultural environment counting approximately 18000 people in more than 80 countries around the world.